The DfE’s ‘Evidence Check’ memorandum can be read here, and the numbers in our response below relate to this. 1. Re: “the point at which the other children in their year group are moving up from the reception class to year one“. Summer born (SB) children prior to CSAge don’t yet ‘belong’ to any year group. They haven’t started school yet. Some don’t even attend pre-school, so it’s not even an extension of that ‘year group’. 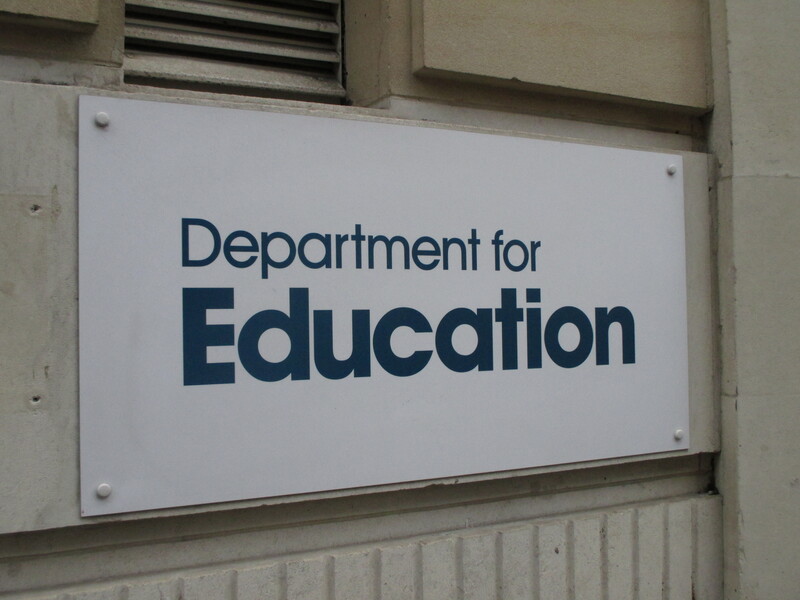 The DfE is interpreting legislation in a way that retains the ‘status quo‘ and appeases admissions authorities (AAs) that are against parents of SB children making a real choice about CSAge. But where is the evidence that missing Reception – or any other year later on – is in any SB child’s best interests, regardless of the fact that other children of the same age may have started school a whole year early? 2. Re: “Flexibilities exist for any parent“. The word “any” is categorically untrue in reality; SB admission at CSAge is a postcode lottery, with considerable tenacity, drive, the ability to gather paper evidence and articulate arguments or ‘evidence’ in writing, and to speak confidently in meetings very often required – absolutely not achievable for ‘any’ parent. Parents can “request” flexibilities, but we know these are frequently refused. Or does the DfE really believe that just 0.4% of all Reception class parents want part-time attendance for their 4 year-olds? If the Code was sufficiently clear there would be no need for additional advice, but more importantly, since the advice is non-statutory, admissions authorities are completely at liberty to discount it, as indeed many openly do. Re: “clarification of the circumstances“. Our circumstances are identical; we are trying to secure a full education for our children in accordance with our legislative duty as parents of CSAge children. Re: “child’s academic, social and emotional development“. At ages 3 and 4, parents know their child best, and CSAge law already allows for SB flexibility as promised in the 1967 Plowden report: Chronological age “can be a misleading guide to a young child’s development” and as such, “the law should… allow a good deal of variation in practice”. In law, CSAge straddles two separate academic year groups and Reception is for “pupils aged five and any pupils under or over that age whom it is expedient to educate with pupils of that age“. However, the latter definition was incorrectly cited in the 2009 & 2010 School Admission Codes, an error that has led to numerous councils and head teachers misquoting CSAge and/or Reception class legislation. The researchers said there is “evidence that it might be the low income groups who are more likely to suffer the long-term consequences of being born later in the year“. This will only be exacerbated by the proposed 2014 Code, which means some SB children will be allowed a better educational opportunity than others, by virtue of ‘location’ luck or parents’ ability to fight. Evidently, not all SB children suffer academically (which is one reason why age-normalising test results is such a questionable ‘fix’) but this is not simply an academic issue; it’s a ‘whole person’ one. Re: “unobservable characteristics such as motivation“. Self-esteem, confidence, mental health and emotional wellbeing of children are often unobservable characteristics for statisticians too, but parents observe them first-hand, on a day-to-day basis. Re: “those born at the end of the academic year are significantly more likely to be unemployed than those born earlier, but not by very much“; “most recent birth cohorts are significantly less likely to be unemployed early in their careers (while they are significantly more likely to be so later on)“; “a small positive effect on earnings of starting school younger, which had disappeared by around age 30″; “an important message arising from our research… we find very little evidence that any of these differences persist into adulthood“. The research appears to downplay long-term outcomes here, and contradicts the DfE’s own research that five A*-C GCSE grades can have a significant impact on personal income and benefit to the economy, making it in everyone’s best interests to get the education of SB children right first time (they only go through the system once). b) The researchers were not aware that it is even ‘allowed’ for SB children to enter Reception at CSA: “within the confines of the current education system – not delay it (i.e. hold them back a year so that they join the subsequent academic cohort)…” The IFS further explained by email to me that “admissions authorities do have some flexibility, but we omitted this as the schools admissions code makes clear this is in exceptional circumstances.” But yet the DfE maintains it has made it clear that ‘exceptional circumstances’ are not necessary. c) The outcomes of SB children who enter private school Reception classes at CSAge (or indeed enter a lower year group to ‘repeat’ the year after struggling as a SB in the state system) were not explored; anecdotally, my own research has found this is happening, and with positive results. So why shouldn’t children in state schools be given the same opportunity? d) The IFS report says the bulk of its evidence is concerned with 2 points incl. length of schooling: “younger children who start later can receive less schooling than their peers.” So how does it help when SB children are forced to miss the whole of Reception or skip a year of education later on? e) Consider this conundrum: In 2013, a major IFS report that does not directly address admissions flexibility in its findings (and even says such flexibility does not exist within the confines of the current system) recommends against giving parents an admissions flexibility that the DfE contradictorily declares parents already have. But then, the DfE cites the very same IFS report as ‘useful information’ in its July 2013 Summer Born advice, and presents it as ‘evidence’ in support of its SB Policy for the Education Committee in 2014. Is it any wonder parents and admission authorities are confused? 6. Re: “age-normalise exam results“. This is a statistical solution to what is a much broader human issue, and worse, it is often suggested by people who don’t even know that starting in Reception at CSAge is even a possibility for SB children. Massaging test results throughout school is unlikely to affect opportunities at university or employment level, where ‘actual’ academic attainment is required, but also it may have less to do with what’s in children’s best interests, and more to do with improving how things look on paper. Re: “allow children to sit exams when they are ready“. Why is the DfE more open to the logistical and subjective nightmare of managing a system like this, when it can’t even ‘allow parents to enrol their children in school when they feel they are ready’ without making it far more complicated than is necessary? 7. Re: “flexible within-year admissions“. This section concentrates on the differences between SB children starting school in the September following their 4th birthday, and the following January or April. This information must be recognised as distinctly different to a comparison with joining Reception at CSAge – in the September following their 5th birthday. Also, importantly, what evidence is the DfE compiling on the in-year admissions of immigrating children from Scotland, Ireland, Europe, Australia and any other country with a different start-date or birth month cut-off date to ours (military families are affected by this too)? There is evidence that significant numbers of children are being shoehorned into their ‘correct chronological year groups’, often against their parents’ wishes (including children with ESL), making them the youngest in their year as well as skipping a year of education. The primary focus is too often on educating children in 12 month chronological age batches, instead of the child’s ‘best interests’. 8. Re: NfER Sharp 2009 delay “not recommended for addressing relative age effects“. This is not solely an issue of RAEs but rather – now that the meaning of CSAge has come to light – making sure that the Code ensures consistency for all SB children’s admissions, which evidence from parents around the country demonstrates it isn’t. Most parents are not even seeking to address RAEs, they are simply of the opinion that age 4 is too young to start school, and they want their child to start school at CSAge without penalty. RAEs at this point becomes a separate issue, and research that focuses exclusively on RAEs becomes redundant. In the absence of explicit research comparing a SB child entering Reception at CSAge versus entering Year 1, one question the DfE might ask itself is this – with the overwhelming evidence of SB disadvantages (whether they complete the whole year of Reception at age 4 or miss part of it; the latter showing a worse effect), which is the more likely outcome of an age 5 start in Reception versus Year 1 – positive or negative? Importantly, the Netherlands example given here (where the policy of holding children back to repeat their Kindergarten year ‘was not found to be effective’), only affects 2% of the primary school population, and is a different situation to starting in Reception at CSAge and continuing forward from there. Also the Germany example, following a 1997 policy of allowing early entry for some children (and where CSAge is 6 years old; a huge difference to age 4), the result was that more ‘early starters’ had to repeat a grade before the end of compulsory schooling, Children in England rarely repeat a school year, even when it’s evident that they are not coping; so again, it’s a different situation. Re: Rose Review 2009 considered it “a questionable response”. But the Rose Review also said, “some parents would like their children to enter reception class in the September after their fifth birthday rather than entering Year 1… It is important to be clear that this is not a recommendation to lower the statutory school starting age rather than give parents a greater choice“. Nevertheless, most people (the IFS and the DfCSF included) incorrectly considered ‘academic year in which a child turns 5‘ to be the real CSAge, and it is only very recently that true CSAge has come to light again. Sharp et al, 2009: “keeping children considered to be too immature for primary school in kindergarten for the second year was shown to be ineffective”. This is not comparable to a SB child’s CSAge start in Reception class and continued education from there. Retaining or repeating a year is a different issue to entering school ‘as normal’. Re: Lincove & Painter, 2006. This U.S. evidence is not directly applicable to England since it includes children who repeated grades instead of redshirting, which is rarely done here. We would need to compare redshirting with early entry to school and remaining in that cohort for duration of child’s education, as happens here. Also, our school start is age 4 versus age 5 or 6 in the U.S., and whereas >90% of English children receive state-funded pre-school education, in the U.S, pre-school attendance can be very costly and state-funded programmes are comparatively sparse. A delayed start for children from lower socio-economic groups (especially in families where communication and education is lacking) can be detrimental to their learning, and they may never ‘catch-up’ upon entering school. It would be more prudent to also consider educational outcomes in other countries such as Canada, Scotland, Australia, New Zealand and throughout Europe – although even then the starting age difference can affect comparisons. Any research comparing early and late school starts is a different issue to comparing a Kindergarten/Reception start with a Grade/Year 1 start – or indeed ‘skipping’ a year of education part way through school in order to fit within a specific 12-month age cohort system. 9. Re: Parental choice and cost implications. I repeat, they were asked if they’d want ‘free full-time’ childcare, to which 57% said yes. Aside from the fact that it was a relatively small sample (168 parents) and 13% selected ‘part-time’ (which is already available for free up to 15 hours per week), and that some may have had autumn or spring-born children that they wished to defer entry until CSAge (i.e. January or April terms), this is not the same as exclusively asking parents of SB children what their plans are for the year prior to CSAge. Notably, the survey also highlighted that 15% of parents still wouldn’t want full-time child-care even if it was free, and 16% were unsure, which means around a third of parents were considering alternatives to childcare. Parents choose to spend their money on education in a myriad of ways; buying a house in the best catchment area, home tutoring, private school fees, extra-curricular activities, and the govt. doesn’t get involved, yet on the subject of CSAge, the DfE is emphasising ‘costs’ as evidence to deter CSAge entry for SB children. Why? Re: “demand for childcare would increase“. This is similar to the argument that ‘demand for Reception class places would increase at a time when schools are already oversubscribed’. But for every child that takes up a ‘space’ in Year B, they will have left a free space in Year A and after a few years of flexibility, SB admissions will simply be an extra calculation in the existing guesswork of estimating future PANs (birth rates and family migration being others). Re: “if parents had the option of delaying school start dates“. Why does the DfE use the word “if” here? Legally, parents DO have the option of ‘delaying (i.e. waiting until CSAge), albeit obstructed in practice, and the DfE’s own July 2013 advice confirms this option. Is this a Freudian slip? Re: “likely to be significant costs (childcare, foregone income)“. There may well be higher costs, but again, our laws allow for parental choice to pay for private education, home tutoring, buying a home in the best catchment area etc., and our law allows for Reception class entry at CSA. Why is the DfE allowing entry to Reception for many CSAge SB children to be blocked (after all, they know the attitudes of many admissions authorities and their insistence on “exceptional circumstances only” from draft Code responses, and indeed the OSA’s position)? If it’s because it doesn’t want to make up costs of extra childcare over 15 hours, then it should be honest about it, but if the DfE is going to allow even one child/parent to exercise real CSAge choice, then it is only fair to ensure that ALL have this choice. 10. Re: “few countries have policies to mediate the impact of the summer birth effect“. Again, this is not just an issue of summer birth or relative age effect; it is about making decisions that are based on an individual child’s best interests at the time of school entry and thereafter. In fact numerous countries have flexibility in their school starting age, with a far greater spread of chronological age than England’s practice of a 12 month cut-off, and very, very few begin formal education at the age of 4. Re: “starting school earlier than the compulsory age… does not confer any attainment benefits“. 11. Re: “popular with parents“. It is certainly true that increasing numbers of parents are keen to wait until CSAge before enrolling their child in school, and since the Education Act refers to “parent’s wishes” and the European Convention on Human Rights says “the State shall respect the right of parents to ensure such education and teaching in conformity with their own religious and philosophical convictions”, it is unclear why the Code only allows parents to “request” something that the DfE is wholly aware many schools and councils will refuse on chronological age principle. The research for this evidence made absolutely no comparison with an ‘age 5’ September start date for SB children, only an ‘age 4’ one. And what is the DfE implying here about “removing the flexibility”? This would mean formally changing the CSAge in England. Of course the evidence submitted by the DfE on ‘School Starting Age’ incorrectly cites CSAge twice, so it may be that this sentence was written by someone who doesn’t know what the actual CSAge is. Re: “Delaying starts by a year“. Terminology is so important here. Parents are only ‘delaying’ in the context of a system that has forced SB children to start school one-year EARLY for so long that waiting to start ‘at’ CSAge is perceived as a ‘delay’. Re: “Delaying starts by a year or more incurs significant costs”. In actual fact, one year early SB starts have incurred incredibly significant costs, and continue to do so. SEN diagnosis, support and monitoring, behavioural issues and impact on whole class, mental health issues, extra support required to access the curriculum, lower educational attainment often leading to lower paid jobs, periods out of work, and consequently less tax revenue. The DfE needs to look at the big picture here, and remember that ‘best interests’ rather than any perceived short-term fiscal concerns, must be the primary consideration for its SB policy. Also, the admissions process itself is now costing tax-payers extra money, which the DfE needs to factor in here. Numerous admissions authorities are insisting on medical, psychological and/or developmental evidence when a parent requests entry for their SB child to Reception at CSAge. They’re even sending educational psychologists into parents’ homes to ‘assess’ whether their 3 year-old child ‘needs’ to wait until CSAge, they’re employing solicitors to fight against parents’ wishes, and setting up costly ‘panels’ to decide (a few months before the school year starts) whether a child is ‘exceptional’ enough to warrant a full 12 years of education from CSAge. Re: “evidence of its effect is mostly neutral or negative“. Again, the evidence did not compare the outcomes of an age 4 start in Reception for SB children with an age 5 start in Reception, and as such, there is no evidence to conclude a ‘neutral or negative’ effect. Most of the DfE evidence comes from researchers that had no knowledge of true CSAge, and even the DfE has consistently communicated CSAge incorrectly. Researchers need to consider: “What is in a CSAge child’s best interests – entry to Reception or to Year 1?” Parents would argue that the evidence from personal experience and indeed countries where flexibilities exist (where many also have personal experience), demonstrates a very positive effect, and the DfE has not provided any relevant and concrete evidence here that is to the contrary. Re: NfER 2009 views of what “the Government’s attention should focus on ensuring”. Re: “developmentally appropriate experiences for relatively younger children“. This simply won’t happen in the foreseeable future; it’s already standard practice to make 4 year-olds read and write and now the pressure is on to make pre-schools even more ‘academic’ driven. Debate and conflict between the government and early childhood professionals is long-standing, and the 1998 Channel 4 Dispatches documentary ‘Too Much Too Young’ illustrates how, 16 years on, nothing has changed. Also, given the legal definition of Reception – “An entry class to primary schools providing education suitable for children aged five and any children who are under or over five years old whom it is expedient to educate with pupils of that age.” – it’s surely reasonable to expect that entering Reception at CSAge will provide SB children with “developmentally appropriate experiences”. Re: “identification of special educational needs takes account of relative age“. Even if this were to actually happen, it won’t address the inherent problems causing the behaviour that leads to the SEN diagnosis in the first place, such as being too young to access the curriculum and then entering a spiral of feeling perpetually ‘behind’ and a ‘failure’ (and remember problems are not always seen until Years 1, 2 or 3, by which time it’s too late as the child is stuck in that cohort for good. Re: “relative age effects are taken into account in assessment results“. This is a statistical fix and again, doesn’t address many of the underlying problems; it also relies too heavily on addressing academic outcomes when the evidence shows that SB disadvantages are far wider than this, and indeed many SB children do exceptionally well academically. Re: “age-adjusted test scores to feed into performance tables“. The focus here appears to be less about what’s in the best interests of children and more about what’s in the best interests of the education system, schools and local authorities. “Re: to assign pupils to ability groups“. This already happens, but problems persist. Re: “no reason to give greater flexibility over school starting age to parents“. Firstly, with 99.9% of children starting school full-time at age 4, it’s highly debatable whether any flexibility at all remains within the English admissions system – it’s virtually disappeared. Secondly, in legal terms, “flexibility” is actually CSAge, which remains a statutory right even in the face of insidious blackmail forcing an age 4 start. Parents of SB children are not actually requesting ‘flexibility’ in the system, we’re calling for the flexibility that ALREADY EXISTS IN OUR LAW to be recognised and applied in a clear, fair and objective way. With 99.9% of children in Reception class entering at age 4, and just 0.4% attending part-time, plus calls for ever earlier enrolment in school, parents are seriously questioning and challenging government policy on admissions. Re: comparisons with other countries’ admissions policies. It may prove difficult to find international comparisons on this particular SB CSAge admissions issue, as to my knowledge, I am unaware of a single other country where admissions policy allows children to be forced to miss an entire year of school – simply because they enrol AT CSAge. I’m a little confused re childcare 15 hrs,will he get this from sept 2016-July 2017 if I choose to delay or will I need to sub my own childcare costs as it’ll be my choice to delay his schooling by one year?